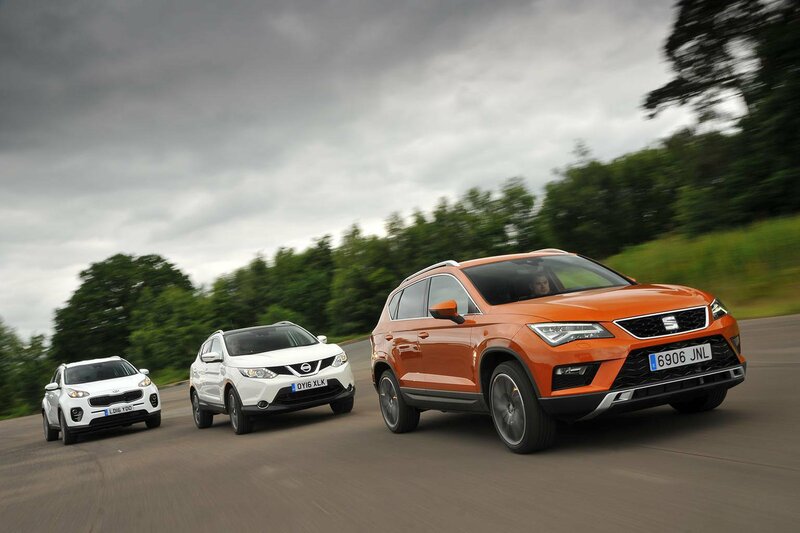 Our most popular group test of the year is a dust-up between three small SUV rivals. Defending its crown is the Nissan Qashqai, a previous overall car of the year winner. It has a tough fight, though - it's up against Kia's spacious Sportage and the sharp-handling Seat Ateca.